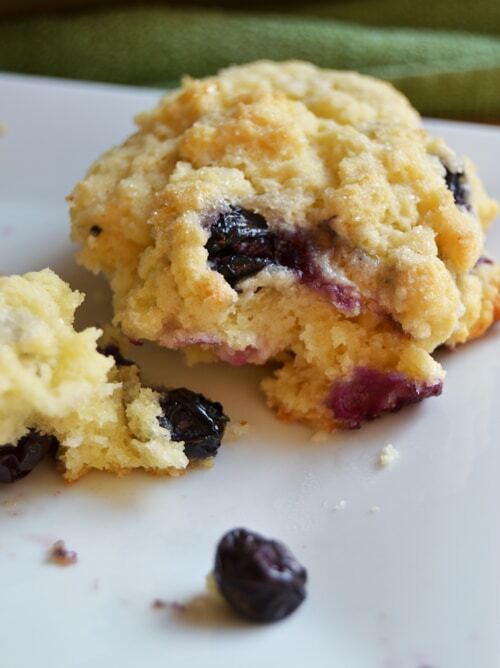 Blueberry buttermilk scones, my accidental best scone recipe. 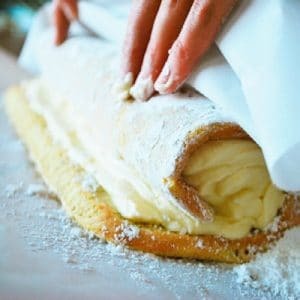 Have you ever made a baking mistake that ended in your favor? 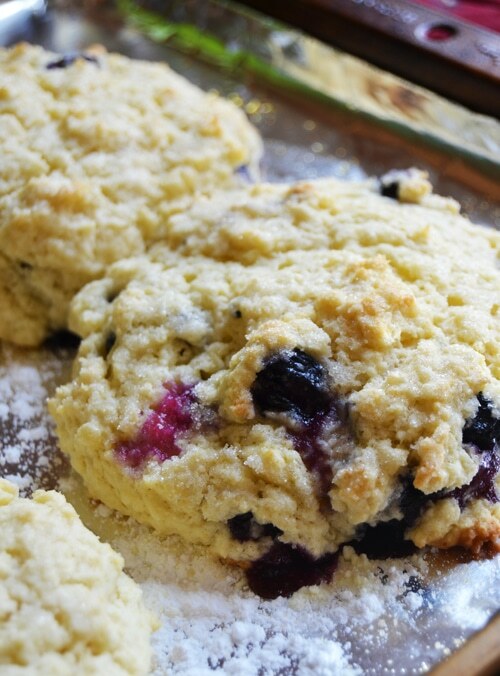 I made these amazing blueberry buttermilk scones yesterday afternoon, and I suppose my brain got ounces and tablespoons mixed up. I accidentally doubled, yes doubled, the butter. What a gorgeous shade of yellow the batter was though as I dropped the super soft dough on to the powdered sugar-dusted pan! The math on the butter didn’t compute until after I had put my perfect-looking scones into the oven. 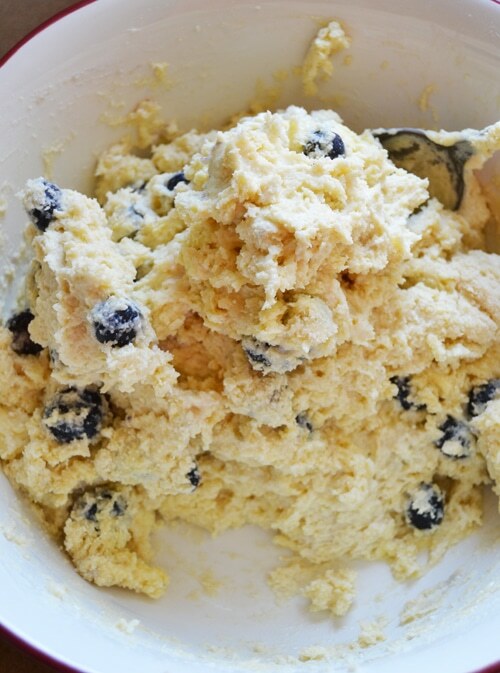 I ran to the oven and opened the door expecting to see a puddle of batter on the pan, with little blueberries bobbling around in what was sure to be a mess of a recipe I’d just created. What a surprise to see my blueberry buttermilk scones looking absolutely perfect, and oh the smell! 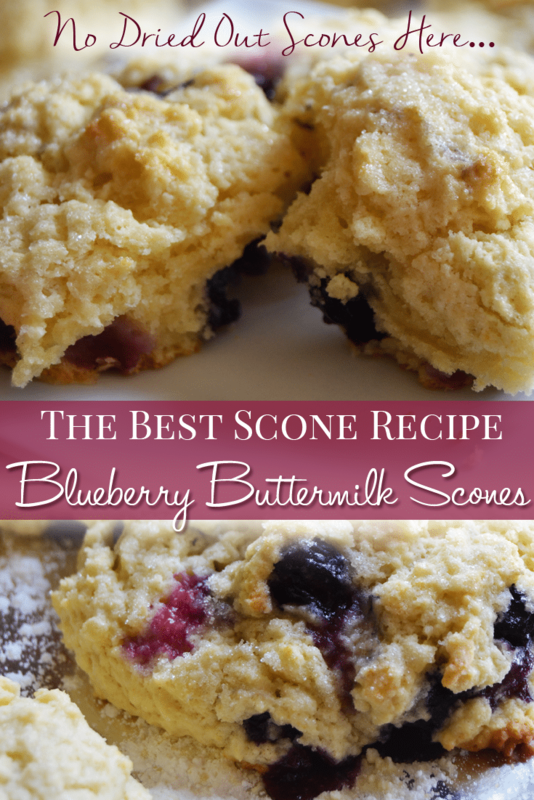 Needless to say, with extra butter, these are the best blueberry buttermilk scones I’ve ever had. 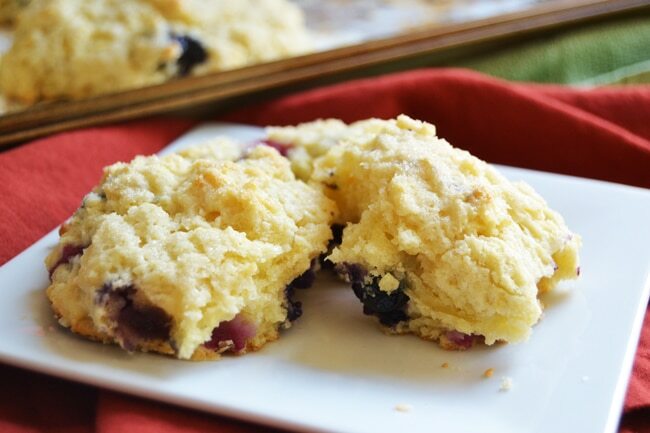 They are tender, filled with juicy sweet fresh blueberries, flaky, buttery soft and so rich, you don’t need another thing with them. Perhaps a big cup of coffee. The sugar dusted on top before baking creates the yummiest sweet and crunchy exterior. Love these! 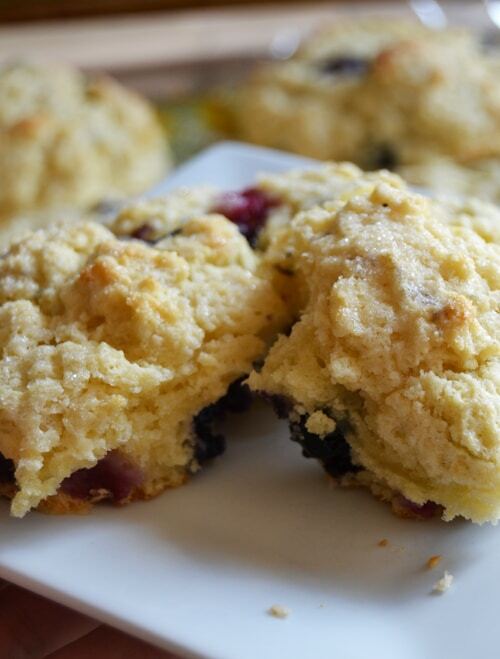 I would try any berry with this recipe, or even leave fruit out altogether if you are looking for a plain buttermilk scone to serve. 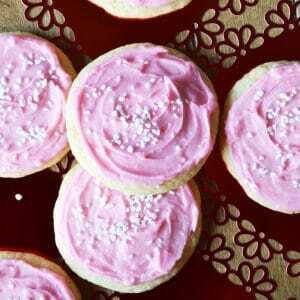 I have a little baking treat to recommend to you. If you are baking something extra special, here is the perfect butter for it. 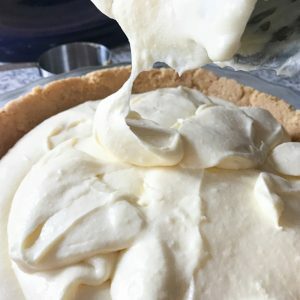 Kerrygold Pure Irish Butter is the BEST butter I’ve ever baked with. This butter tastes amazing, is a beautiful bright golden yellow, and so soft even when cold, you don’t even need to let it sit out to soften. Kerrygold is a little more expensive, but worth a splurge for a delicious baked treat. Whisk until combined. 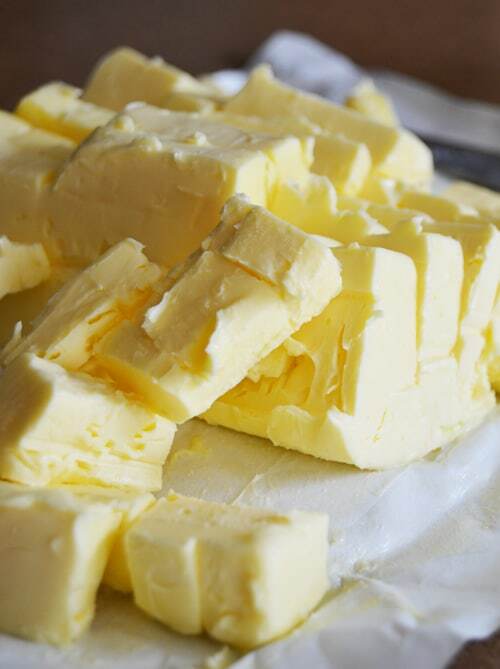 Add 1 cup butter, softened and cut into small pieces. 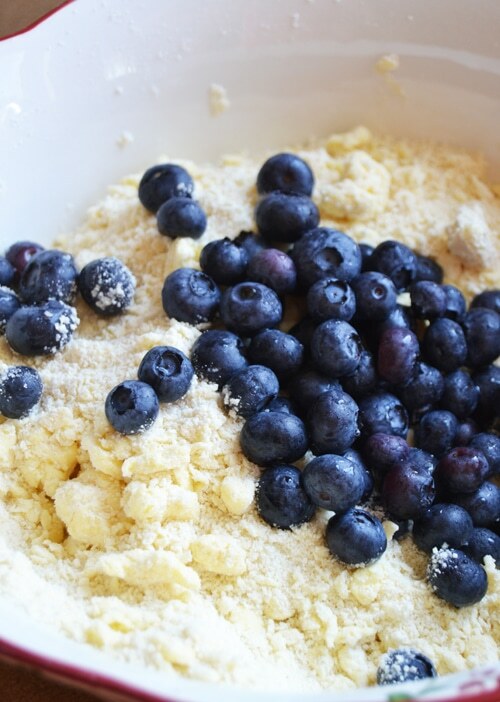 Use a pastry blender or a fork to cut the flour and butter together until the mixture resembles crumbs. Stir in 1 cup fresh blueberries (washed, dried and picked through) to the flour mixture. 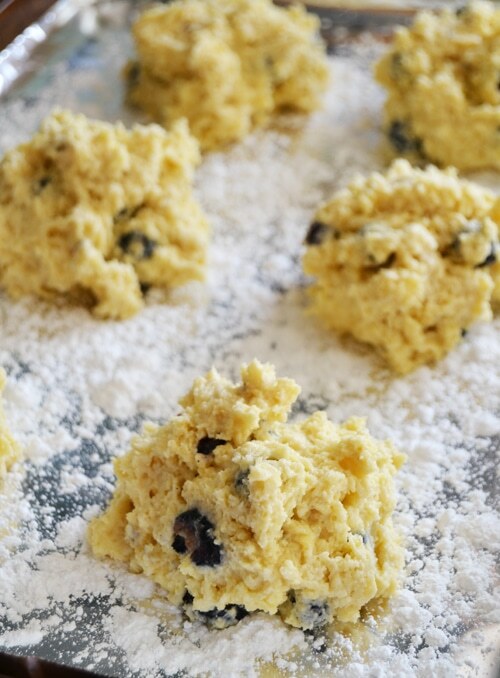 Blend wet and dry ingredients together gently with a fork just until a soft dough forms. Do not use a mixer. The dough should be mixed as little as possible. Drop the biscuit-sized amounts of dough on to a cookie sheet lined with parchment paper (I ran out of parchment paper and used foil, it works) and well dusted with powdered sugar. Sprinkle each scone generously with white sugar. 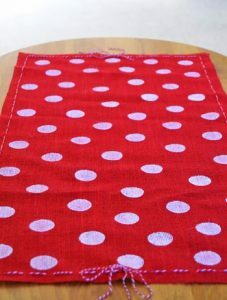 Bake at 350 degrees for 13-15 minutes, or just until a very light golden color and firm to the touch. Do not over bake the scones. 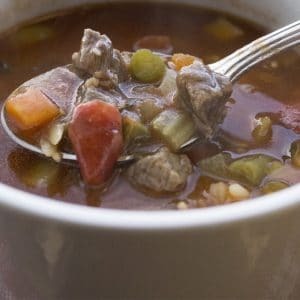 Remove from pan and cool. Serve scones warm. These reheat very nicely! I would wrap them in foil and warm in a low temperature oven for a few minutes just until they are toasty again.